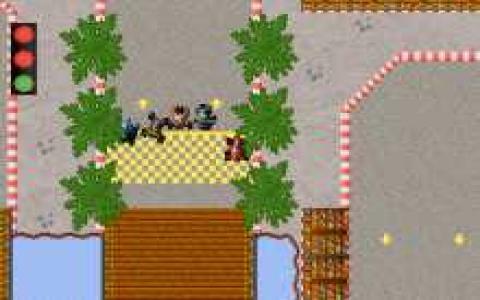 Fatal Fumes is a very cool, cartoonish racer, a top down one, featuring miniature vehicles, much like Micro Machines. Don't get off put by the title, this game is a lot of fun and it has that nice pedal to the metal feel about it, great for breaks and for short bursts of play. The negative connotations that the title might suggest are nowhere to be found in this title, as this is energizing title to play, without question. You can choose to play against the AI, which can control up to 6 other racers, or you can play in multiplayer mode, where you can race in single screen mode, with up to 2 other human players. The game has quite a few different race tracks, and all of them are very interesting, full of more or less dangerous traps, such as bridges, portions where you have to jump over, and a lot of other similar traps. 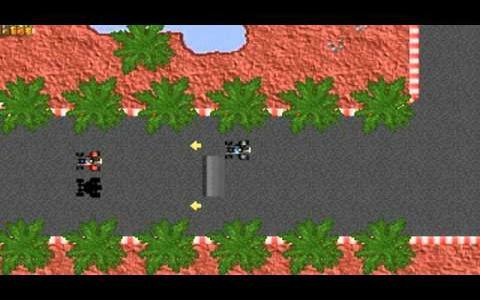 The game also features a track editor, and so, you can go on and use the game's already quite large number of tiles and other graphical assets to create your very own tracks and use them to race on. So, if you like Micro Machines like racers, and want another one which is at least as good as that one Fatal Fumes won't disappoint. Download it!